I often get asked about the blogging tools I use on my blog. 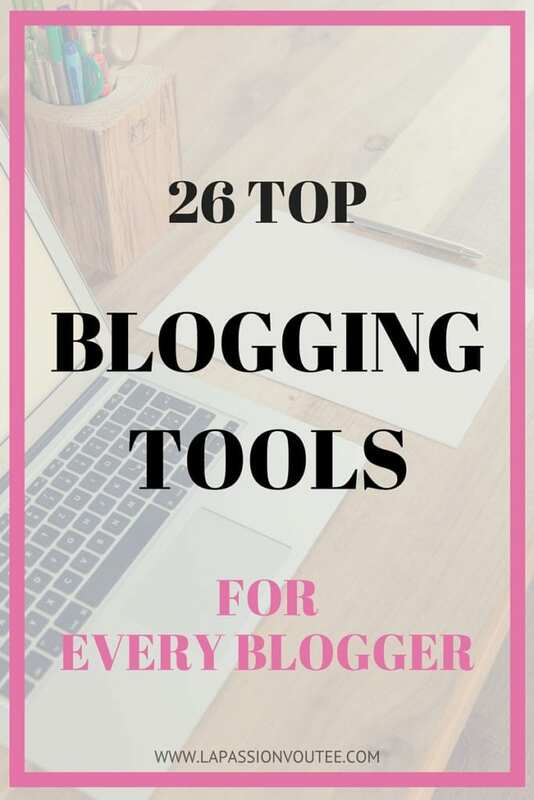 I know how important this is because having a comprehensive list of top blogging tools would have been a tremendous resource for me when I started blogging a few years ago. I have put together this detailed list of the top blogging tools and services that I use and highly recommend to help make blogging easier and more productive for you. 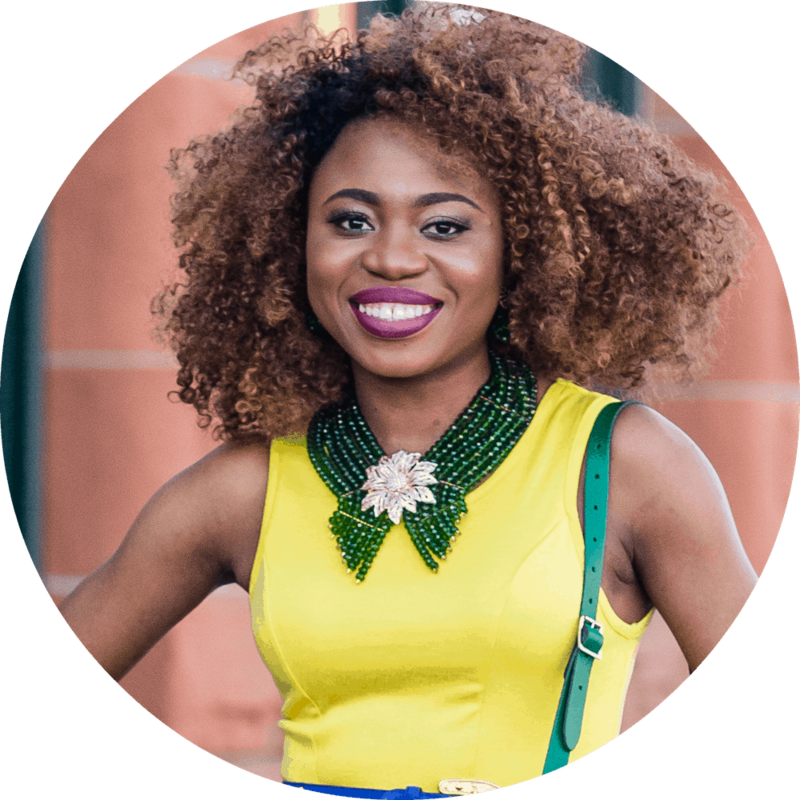 I only recommend products and services that I use and love because I know that having the right blogging tools can make or break your efforts. Note that some of the links below are affiliate links (disclosure). The Canon T5i camera is my all time favorite DSLR camera for fashion enthusiasts. Canon Rebel cameras are all I have used since I started blogging. I upgraded to Canon T5i three years ago. The T5i is a wonderful camera for both beginner and intermediate level photography. It is also very affordable (compared to EOS 6D and 5D used by professional photographers) and it produces high quality, stunning images. If you just started blogging, this is the camera I would recommend because you can easily work your way up after you get comfortable. If the T5i is not within your budget, you can get either a T4i or T3i as they are a little older and cheaper. Alternatively, you can shoot with your smart phone and use an editing software refine your images. I don’t know where my photography will be without this lens. This Canon 50mm f/1.8 lens is without a doubt my go-to lens because it creates crispy clear portrait images with a soft bokeh (blurry) images. Best of all, it is the most affordable Canon lens for portrait photography with a price tag of $125! I use this lens more than 70% of the time when I shoot outfit posts that are not taken by a photographer. You should note that this is a fixed lens so you will be unable to zoom in or out on your subject. There are other great and even better lenses for portrait photos but they all cost significantly more. If you only have money for one lens, this is the lens you should to get. This is the kit lens that came with my T5i bundle. Depending on how far you are from your background, you may be able to still get a decently blurred background with the Canon 18-55mm f/3.5-5.6 lens. It is also a good lens to get because it allows you zoom in and out on your subject thereby giving you more range of control. You can also capture more or less of your surrounding with the lens by zooming in or out on your subject. Together with the 50mm lens you should be able to get started creating awesome photos for your blog. This lens sells for roughly $200 alone. It will be more affordable if you got this lens as a bundle purchase with the Canon T5i. When I started my La Passion Voûtée, I would always ask my friends and family to take my photograph. They got tired quickly so I had to come up with a solution. I bought the RC-6 wireless remote shutter to be able to trigger my camera when I doubled up as a model and photographer. I almost always use it on the two-second delay shutter release to give me enough time to conceal the remote before my picture is taken. I also have Viltorx wireless remote that I use for longer range shots. It is a little bulkier though. I once lived in a basement apartment with very limited amount of natural light. During the dark Alaska winter months, I had no luck getting enough natural light to illuminate my products. I found that regular fluorescent lights created an overcast on my images (yuk!). I bought this set of softbox light to evenly light up my images and diffuse the light without washing out my images. This light works wonders! The color temperature of the lighting kit mimics the temperature of natural light. For $80, I was able to get a set of two softbox along with all the bulbs and support structure needed to assemble the kit. If you’re feeling adventurous, you can also DIY a lighting kit for your use. Camera and lenses are fun to buy. But memory cards? Not so much. When you’re shooting high quality photos and videos in JPEG or RAW, you need a memory card that can deliver on speed and performance. This Sandisk Extreme memory card does just that. I tried other memory cards in the past and ended up with one problem after another. I decided that I needed a large and reliable card that would not freeze up during shots. Let’s face it, a tripod is probably the last thing you want to spend you money on particularly after parting with a good amount of money on a camera. I felt the same way too. But after having several close calls of almost losing my camera and lens because of a flimsy tripod and strong wind, I had to reconsider. This Dolica proline tripod works great with both point-and-shoot and DSLR cameras. It also features a ball head which makes it super easy to rotate the position of your camera (super helpful when you’re shooting by yourself). I like that it has a hook for you to attach extra weight to stabilize your camera when it is windy. ConvertKit is the email marketing service I use for La Passion Voûtée. I use ConvertKit to send out my weekly blogging tips and outfit newsletter to my subscribers. I started out with MailChimp about two years ago and made the switch to ConvertKit in May 2016 because it is extremely easy to use and it was built by a blogger for bloggers. To cut on costs, you can use MailChimp for free up to 2,000 subscribers with basic features as ConvertKit costs $29/month for up to 1,000 subscribers. With ConvertKit, you have access to all the features and automation that people with larger subscribers use. Since switching to ConvertKit I have seen a consistent growth in my email list. If you plan on collecting email addresses and sending mass emails (broadcast) to your subscribers, you need to get a personal email service. I use Google Apps for Work for this purpose. This service allows you to create a personal email address like [email protected] because email marketing services like ConvertKit and MailChimp cannot deliver broadcasts sent from an email address originating from a free email account like [email protected] And even if it gets delivered, a huge percentage will end up in your readers’ spam folder (you don’t want that!). For only $5/month you can get your own business email, 30GB of storage, Google Drive, and others from Google Apps for Work. Sign up for a 30-day trial and/or message me to get a code for 20% off your first year. SumoMe has been a total game changer for the blog. Until I discovered it, I was limited in my options in building my email list. While ConvertKit is generous enough to provide some opt in options, I found it limiting. SumoMe offers a suite of tools like List Building to convert blog visitors to life-long readers; Smart Bar that floats at the top of the blog to encourage visitors to take action; a floating Share button that increases the virality of your content; and host of 10 other tools to help you blog smarter. Tailwind App has completely changed how I blog. Pinterest has the potential to drive an incredible amount of traffic to your blog. But in order to make Pinterest turn into a big source of referral traffic to you blog, you have to post frequently and that’s where Tailwind App comes into play. I have completely fallen in love with Pinterest in the past few months that I have taken it seriously. If you’re not careful you could easily spend a whole day on Pinterest because of how addictive it is (I’m guilty!). This blogging tool makes scheduling my pins for Pinterest a breeze. I can schedule a whole week’s worth of pins in as little as 30 minutes. If you’re not already using Pinterest, you are missing out on free blog traffic. Tailwind App offers 100 free pin scheduling trial. Yup, I tried it and got hooked. The amount of time I have saved and the detailed analytics Tailwind provides makes the $10/month price tag absolutely worth it. 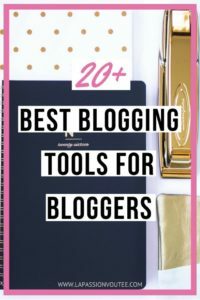 After realizing how easy it was to schedule pins with Tailwind, I went on a search for similar blogging tools that I could use on Facebook. I tried the native Facebook scheduling feature a while back and got exhausted with how much time I needed to dedicate to it. Buffer makes it pain-free to schedule content to your social network. I use Buffer’s Chrome extension on my browser to quickly schedule my posts with a few clicks straight from my blog. I am currently on the free plan that allows you to schedule up to a maximum of 10 Facebook and Twitter posts at a time. The paid version allows you to schedule pins on Pinterest but it does not have the robust analytics you get on Tailwind App. Buffer also just rolled out the ability to schedule Instagram posts. Instagram = Iconosquare. This website a nice blogging tool to have because you can measure and understand your Instagram engagement activity. It tells you the best time to post, your profile growth, and allows you improve key metrics on your account. Just recently, Iconosquare recently increased their yearly plan to $49 ($4/month) for the Plus plan, which is what I use. If you’re having difficulty knowing the best time to post on Instagram, this blogging tool will give you that information. Most of my audience are 8 hours ahead so posting at midnight gives me the most exposure on my posts. Board Booster is also one of my favorite Pinterest scheduling tools. I’ve only been using Board Booster for a few weeks and love that I can schedule new pins to my liking, create campaigns, and loop pins. I also use it to manage my group Pinterest board, Female Fashion Bloggers. Board Booster allows you try their service for free with 100 free pins. After that it costs $5/month for up to 500 pins which makes Board Booster pricier than Tailwind App. Canon’s Digital Photo Professional (DPP) is a powerful editing software that comes FREE with every EOS camera! Most of my outfit shots are professionally taken and sent to me in a large format. I use DPP to resize the images to fit my blog’s layout. I also use the application to edit all the photos I take on my T5i (either in JPG or RAW format). You can even adjust specific colors, stamp out unwanted areas, apply noise reduction, and lens correction. Bring your Instagram images to life with the plethora of elegant filters aka presets available on VSCO. You can edit and share your photos with absolute ease on this mobile app. The way images are laid out inside the app will give you an idea of how the new photo will blend into the layout of your Instagram profile. There are some free filters that you can use but I ended up buying a pack of filters. I turn to Snapseed for more detailed editing of my photos for Instagram. Snapseed is fantastic mobile editing app that is owned by Google. You can tune images by adjusting exposure, saturation, highlights, ambiance and brightness with the snap of a finger. This app is packed full with other cool features like the ability to selectively adjust parts of your image, apply vignette, and healing. Snapseed is completely free. Oh Canva, my Canva! Canva is one of my favorite blogging tools for creating pinnable blog images for Pinterest. For those that are not tech-savvy and have no idea how to use Photoshop, like myself, this program allows you to create high quality images with a host of pre-made and customizable templates. What would I have done without Canva? And best of all, it is completely free if you don’t use any premium stock images. PicMonkey is another cool resource for designing blog graphics. In addition to editing your images, you can design, touch up, and create even collages. Just like Canva, you don’t need any tech background to learn how to use this blogging tool. For $3.33/month, you get access to advanced touch up tools, overlays, filters, and premium fonts that are not available on the free PicMonkey plan. Wanna make some money from your blog? Well, yeah! rewardStyle is a platform that helps influencers monetize their content across their social channels. With rewardStyle’s LIKEtoKNOW.it mobile publishing app, creators can maximize their monetization strategies by creating shoppable Instagram photos. Because rewardStyle is an invitation-only monetization platform for premium style publishers, the platform can be very selective about who they allow into their network. It’s worth the shot though. I use both Skimlinks and rewardStyle to monetize my blog. Skimlinks is a content monetization platform for publishers with a focus on in-text advertising. With Skimlinks you get rewarded for all sales and some clicks you drive. In addition, Skimlinks allows you to automatically turn product links into trackable links with the click of a button. With this feature you can easily monetize old blog posts without having to edit each one of them (how cool!). Google AdSense is a free and simple website monetization program owned by Google that allows all publishers in the network earn some money by serving targeted ads on your website. You can earn revenue on clicks or impressions. Google Adsense is definitely a simple way to earn a passive income for small or large blogs/websites. ShareASale is an affiliate marketing network that services affiliates. Affiliates can use to find products to promote on their blogs and websites, and earn commission for referrals on those product or service sales. As an affiliate, you can choose from several thousand programs (aka merchants) to work with and then decide how best to promote these merchants. As a fashion blogger, some of the merchants on ShareASale that I really like are Lulu*s, Modcloth, GoJane, Le Tote, and Stella & Dot. Sponsored post, also known as promoted post is a paid post that you publish on your blog and social network to draw exposure and/or sales for the sponsor (or company). You get paid a pre-negotiated amount by following the guidelines requested by the sponsor. There are several programs that connect influencers with sponsors. A few of my favorite are Linqia, Social Fabric by Collective Bias, Clever Girls, Pollinate Media, and BlogHer. Check out the post below for specifics on these programs. Moving from a free hosting to a self-hosted account? I moved from a free Blogger hosting (after 3.5 years!) to a self-hosted WordPress account recently. This move has definitely been the best thing I’ve ever done on this little space. I chose to go with Bluehost because they are amazing and they offer the most affordable hosting option for bloggers. For as little as $3.95/month you can setup your hosting plus you get your domain name for free. Totally recommended! You’re going to need a nice responsive theme when you setup your WordPress blog. I bought my blog theme on Etsy. You can also go all out and purchase one of the supercharged themes from Studio Press that is built on the Genesis Framework. Studio Press is probably the most well-known companies for creating reliable blog templates and you’re guaranteed that your template is not going to fall apart when there is a new WordPress update. I just couldn’t pass up my template on Etsy so we’ll see if it holds up when I have to update WordPress. *Disclosure: This page contains affiliate links and these are all products I use/have used and highly recommend. This is a very nice list for an upcoming blogger! Especially those of us that are very green to blogging and have no idea what we are doing! For instance…I created my page without a website, now I am stuck. Don’t want to post and ruin my chances of making money using my blog! Glad you found this list helpful, Laura. Take your time, we all learn as we go. All the best! This is a great list of resources. I already use a lot of what’s on your list. I need to look into SumoMe. That’s a great list for bloggers! I love all the social media tools you listed. I can’t imagine life without them! You are welcome Meghan! Glad you found it helpful. Wow! This is a great list! Thanks! I am still a fairly new blogger so I have yet to dip into sponsored posts or affiliate links but I am planning on doing so soon. Such a great list! thank you very much for sharing, very useful! Buffer is my go to tool! Love it! Thanks for sharing these. I totally agree about the Canon 50mm f/1.8 lens, it’s so affordable and should be in every Canon EOS user’s kit. You are welcome Tia. I’m glad you found it helpful. Great list! I appreciate how nicely organized and formatted this is too! You’re very welcome Elika. I’m glad you found this helpful. Thank you for creating this, and for listing things other people haven’t already! Very true Anne. It is definitely worth the investment. Awesome tips, definitely saving- thanks for sharing! I’m glad you found this helpful Krysti! Bookmarking this! Love the summaries of each one to reference back! Thank you! This is such an amazing guide to what is needed for a blog. There are a few items on this list we need to purchase! My pleasure Lalaine 🙂 Thanks for pinning! Bout to email you for that 20 percent off lol! Thanks for this list! Absolutely Blossom! Got your email and responded. I’m all about saving a few $ here and there. Some of these I had never heard of before. Can’t wait to check them out. Thanks! Love this post! I have the Canon T6i & love it! I also have the 50 mm lens. 🙂 Soft box lighting is awesome. I am going to be starting a YouTube channel, so I purchased 2 of those & a ring light! I even prefer it to daylight! Thanks for the informative post!! Yes Danielle, you are off to a great start with your YouTube channel. Your videos are going to be amazing! This is all really great info! Really need to look into more of those sites to monetize our blog. We’ve been looking at Social Fabric, but nothing fits our niche. Great roundup of resources! I use several of these! Thank you. They are helpful and great time savers! Great tips! Fellow pinterest addict here. I love Snapseed. I am just starting with Canva and need to learn more about this program. I am trying to improve my blogging game and will check out some of the scheduling apps you mentioned. Hope you have a great blogging week. Hello Pinterest buddy! Snapseed is so easy and so awesome, it’s ridiculous haha. In a little time, you’ll see that Canva is super easy to use too. Great tips! I knew a few of these tools but discovered a lot that could help me. Looking into the softbox lights right now! Thanks for all of the detailed information, especially the camera lenses. I love my Canon Rebel, but want to start experimenting with different features. Thanks for stopping by Carmen! Have fun playing with the different features on your Canon! Great tips. Having a good camera is a must have! A good camera is definitely a game changer! this blog post is going straight to me favs tap!! i just liked it so much!!! and the value tips! I use board booster and PicMonkey. I need to look at something for Facebook scheduling. Thanks for sharing what you use, that helps me to decide. I’m glad this post was helpful Carolyn! The blogging tool I use to schedule my Facebook post is Buffer. There are other great tools like Edgar and Hootsuite but they cost more. They may be worth looking at to make sure your specific needs for Facebook are met. Great list of resources! I’ll certainly check out several of them that I’m not already using!